Aristotle: 384 - 322 BC. Since man knows and observes nature, there have been attempts to arrange the aspects of nature, and so also life forms, in groups. An arrangement in Ancient Greek was called "systhema", which was the birth of the first biological system. With the idea of a system of life in Ancient Greece came the first systematic terms. Aristotle (384 - 322 BC.) was the first to use the scientific term of "malakia", the soft bodied animals, as opposed to the "ostracodermata" or "testacea", the hard shelled animals. Among the malakia were squids and other soft bodied animals, among the testacea snails, mussels and other animals with a shell. From Aristotle's term of the soft-bodied animals came the Latinized word of today "Molluscs". The word stem "malakos", soft, today is found in the word malacology for the biological science of molluscs. The Aristotelian division in soft-bodied animals and animals with a shell has not survived until today. But the molluscs today are divided into shell-less molluscs ("Aplacophora") and testaceans (Testacea), of which a part are the chitons (Polyplacophora) and the Conchifera, all other, more modern molluscs. Similar to the systematic term Conchifera for molluscs with a shell also the biological science is called, whose subject is the mollusc shell: Conchyliology. In his system of nature, Aristotle had used characters of exterior appearance for comparison and division of groups. 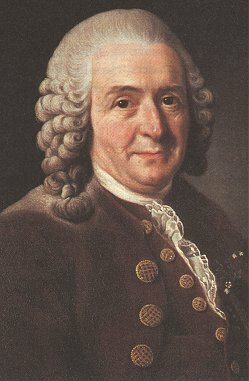 Opposed to this kind of ancient system was the Swedish scientist Carl v. Linné (1707 - 1778), who published his "Systema naturae" in the 18th century under the Latinized name Linnaeus. Today generally the 1758 edition of this works is taken as a basis. 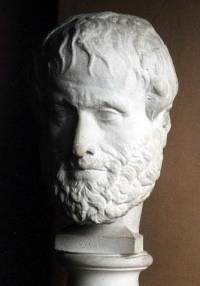 Linné in his system used a method of division based, like Aristotle, on external differences. Besides, he made use of form and function of genital organs. The Linnaean system is built in a hierarchical order: There are groups with different status and their subordinate groups. Additionally, what was his special merit, Linné found a new standardized method of scientific naming (nomenclature) based on a system of two word names. This binary nomenclature after Linné gives each living being a two-part name, noun and adjective, so to speak. Both are taken from Greek, Latin or a mixture of both, which were the major languages for scholars at Linné's times. With one stroke, the Linnaean binary nomenclature solved all problems of international understanding in the scientific world. For example, the Roman snail in the scientific language is called Helix pomatia. Apart from its scientific name, the Roman snail has a colloquial name in every language, to which it is known. So in German it is called "Weinbergschnecke", and in French "Escargot de Bourgogne". Those colloquial or vernacular names require a profound knowledge of a language, which one usually has of one or two, perhaps three languages at most. 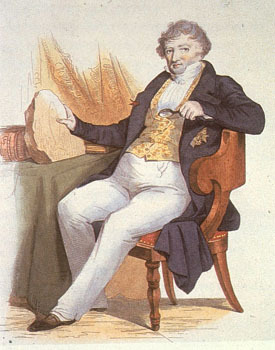 Georges Cuvier: 1769 - 1832. Beyond that one will hardly know all vernacular names of snails, which may, besides, also differ between regional parts of a country. That means that in a scientific talk in a foreign language the scientific terms will not change, only the un-scientific part of the talk will have to be in the respective language. Cuvier called those categories "embranchments". Today they are called phyla (tribes). All three systems had in common that their development was based on the comparison of different animal groups in regard of characters of external morphology or internal anatomy. Today, the examination methods have become exacter and biological knowledge has multiplied astronomically. The construction of biological groups still is based on comparing those groups in regard of certain morphological characters, the significance of which still must be proved. It is not only the system of snails showing us today that the development of biological systems is by no means finished, and that daily new discoveries are made that make necessary an adaptation and revision of already present systems.